Save money by purchasing a combination transition rubrics and activities package! 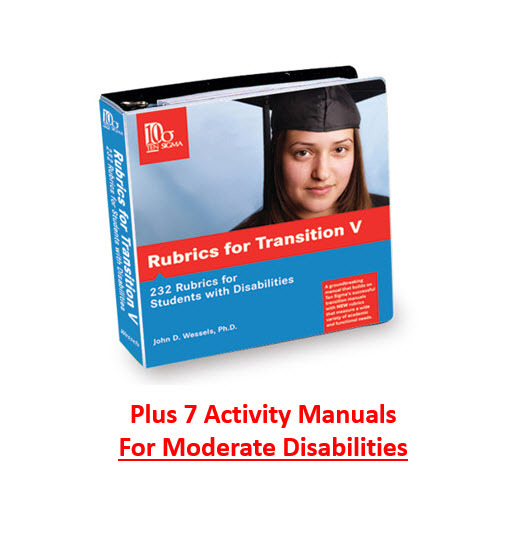 This package comes with the Rubrics for Transition Manual V. The Best-selling comprehensive collection manual of all four disability areas (mild, moderate, severe, and autism spectrum) 232 rubrics. And The Activities for Transition for Moderate Disabilities. 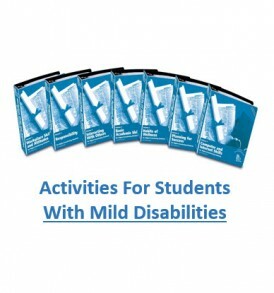 This is a 7 volume set of manuals containing more than 450 transition activities for the 61 skills in the “Moderate Disabilities” series. 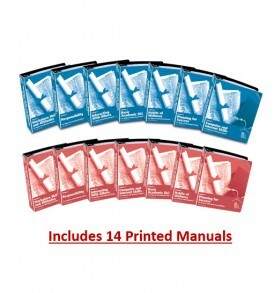 *Purchase of this package comes with 30 days Building License (product # 1062) access to the online Transition Rubrics in the RubricMaker at no cost.